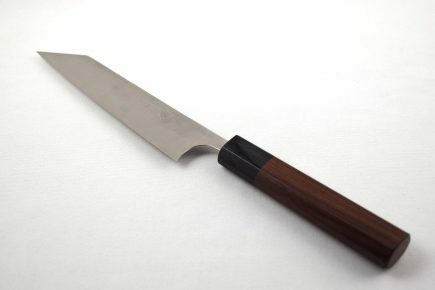 Nagomi Maru Set with a Santoku and a Petty Knife. Nagomi Maru Set with a Santoku and a Patty knife. Nagomi Maru is a beautiful range of knives made in Seki. 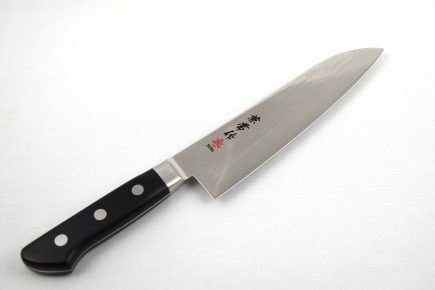 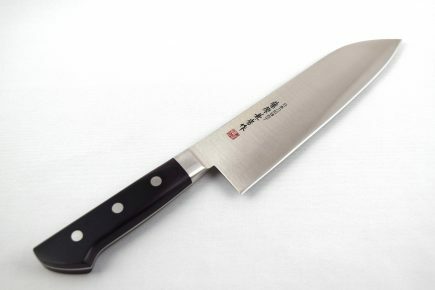 The blade is made out of 440a stainless steel which is hardened in -170 degree liquid nitrogen, that gives the blade flexibility and strength. 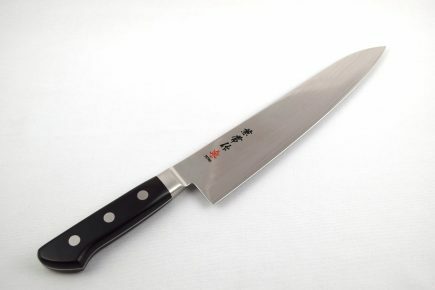 The knives have a very artistic and beautiful handle, made out of densified laminated wood and a stainless steel bar. 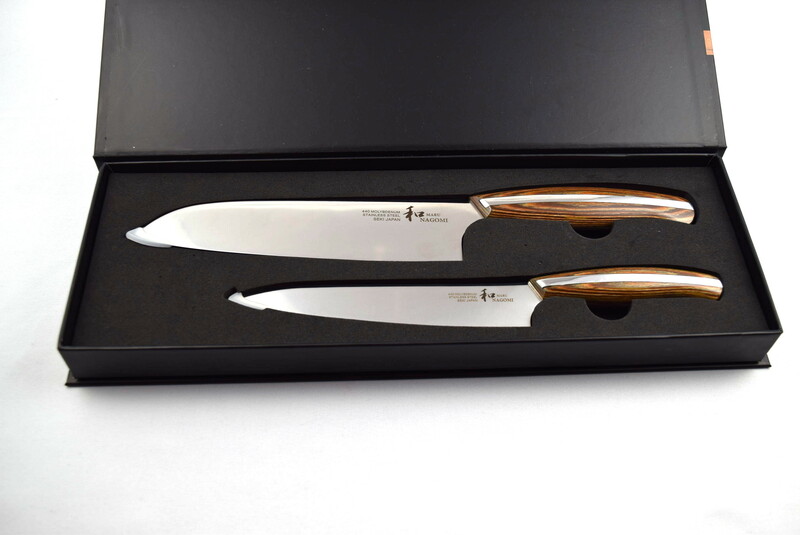 They are an eye-catcher in every nice kitchen! The knives come in an elegant gift box and are a perfect gift!